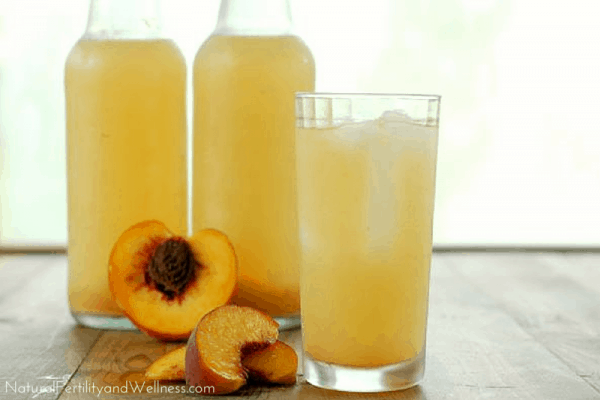 Probiotic soda - a peaches and cream version to die for! There is just something about the summer season that just doesn’t feel quite “summer” until our peaches are ready to eat! 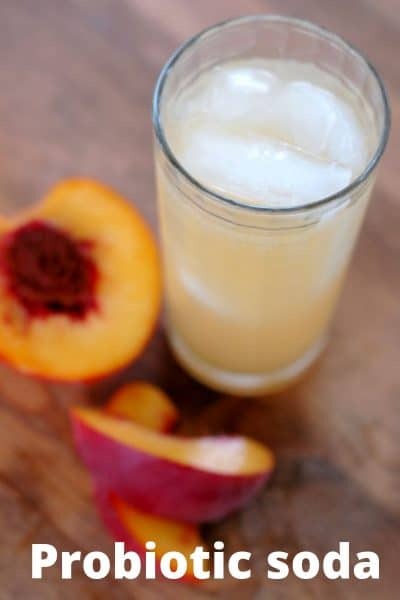 One of our favorite things to do is make peaches and cream soda – it’ so refreshing on a hot July day. I don’t know if it is just how the weather just seems to feel more summer-like, or it is those ripe, juicy peaches, but every late July/early August we pick up a couple bushels of them from a local farmer near us and we really enjoy them. Peaches and cream are a staple around our house. It is so simple, but a swirl of fresh, sweet cream with summer sweet peaches is so amazing. I’ve also spent time canning peaches to enjoy year round. Last year I decided I wanted to see if I could capture that flavor in a fermented soda. We love taking the best summer flavors and making a special soda treat that we can enjoy on hot summer weekends. This simple fermentation method infuses probiotic rich whey with the sweet fruit and real sugar for the probiotic bugs to feed on to make a bubbly, crisp soda that is so delicious. It isn’t overly sweet despite the amount of sugar as the probiotic bugs “eat” a good majority of it. The peaches and cream soda turned out so well last year that it was one of the first things I had to make with this year’s peaches! Put the peaches, sugar, and water in a large pot and bring to a boil. Reduce to a simmer about 15-20 minutes. Squish the peaches in the pot (I use a potato masher), and pour this mixture through a fine-mesh strainer into a large bowl. Add the vanilla extract and whey to the mixture in the bowl and stir. Once combined, pour into flip top bottles and set in a warm area of your home. After a couple of days, you can open a bottle to check for taste and let the fermented gasses out so it doesn't build up too much. Fermentation can take anywhere from 2 days to a week. Move the bottles to the fridge once they are ready. How to get whey - Just scoop a container of plain whole yogurt into a dishtowel, tie it up onto a cupboard door and let it drip into a jar - the liquid dripped off is probiotic rich whey! The leftover yogurt in the towel is like Greek yogurt or cream cheese - yum! 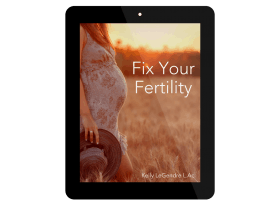 For dairy-free version - use 1/2 cup water kefir or kombucha in place of the whey. Can the bottles be corked like we do our wine? 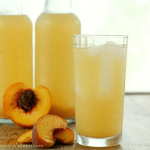 Yes – frozen peaches should work just fine! 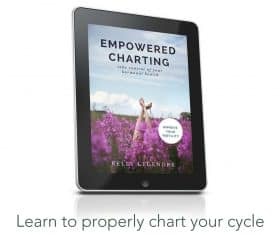 If using Kefir grains instead of whey how many grains should be used? I make Kefir water so I have a few tablespoons of grains I can use. Thanks for your help. Hey Heather! Personally, I’d just brew 6 cups of water kefir, strain out the grains, and then add in the rest of the ingredients, allowing it to sit out for 12-24 hours after adding, then chill. I’d probably cut the sugar by half (depending on how sweet your water kefir is!) and simply use one cup of water along with the peaches to make the simple syrup. i have a wonderful pot that steams fruits or veggies and the juice drips down into another section of the pot. i imagine this would be a fine method of extracting the juice from the peaches, don’t you?